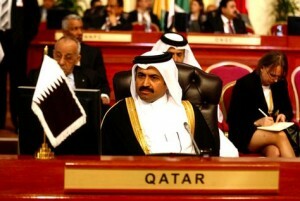 The State of Qatar set up the Qatar Chemical and Petrochemical Marketing and Distribution Company (Muntajat) QJSC. Mandated by Emiri Decree No. 11/2012, the inauguration of Muntajat creates a single corporation which holds exclusive rights to purchase, market, distribute and sell Qatar’s production of chemical and petrochemical regulated products to the global market. Qatar produces 10 million tons per annum of chemicals, polymers and fertilizers. The State will be investing around US$25 billion up until 2020 in its chemicals and petrochemicals fields with an objective to support and grow the industry towards a sustainable diversified economy that will mark Qatar’s next decade as the “Chemical and Petrochemical” decade, according to the announcement. To meet the international demand of chemical and petrochemical products, Muntajat says it will operate an advanced supply chain program to reduce product delivery lead times by combining a multi-faceted approach with regional storage facilities ensuring continuous supply. The establishment of Muntajat also comes in parallel to Qatar’s chemical and petrochemical industry inaugurating new plants with several new facilities planned to be operational in the next few years.